What’s so social about marketing? It reinforces your customer-centered marketing message for prospects who prefer to communicate through social media with greater immediacy than any other marketing channel. It allows loyal customers to promote your business to their friends. It provides a dramatic way to help build your prospect list. It provides another avenue for prospects to find you and become customers. Last, but not least, it dramatically boosts your other marketing efforts. It adds additional page real estate to search engine results pages, increases page rank for your website, and alerts followers of offline specials and promotions. The one rule that marketers avoid at their peril is, Social media marketing must be social! Users will block businesses who’s posts are all about sales. So what is the secret of effective social media marketing? Users of Facebook, Twitter, etc. are liking, following, and allowing updates from businesses that provide useful and/or entertaining information. So it’s important to trust your social media marketing to the right team. Facebook is the most used social networking service worldwide. In 2012, 47% of Americans say that Facebook has the greatest impact on purchase behavior and influence on buying decisions so if you want to drive purchase behavior, Facebook is the place to start! As of June 2012, Facebook had over 955 million active users, with more than half of them using Facebook on a mobile device. Twitter is a social “microblogging” platform that lets members send 140-character text messages (tweets) to fellow members who agree to follow your Twitter posts. Twitter had over 500 million active users as of 2012, with 340 million daily tweets and over 1.6 billion searches per day. Twitter is one of the top 10 most visited sites on the Internet. Unlike Facebook posts, you can’t delete Tweets after-the-fact, so Tweet carefully! LinkedIn is a specifically business-person-to-business-person networking site. However, you can create business listings and hunt for employees. As a rule, you should maintain a presense on LinkedIn, but don’t expect the sort of bottom-line boost you can generate from Facebook and Twitter. Owned by Google, YouTube is a video-sharing website on which users can upload, view and share videos. Videos results are gaining greater importance in the search engines. YouTube users are accustomed to dramatic differences in production quality, everything from Cinematic Trailers to video shot with smartphones so production costs may or may not be a factor. That said, with millions of viewers, YouTube has helped propel numerous businesses in vertical niches. Ready to find out what social media can do for your company? 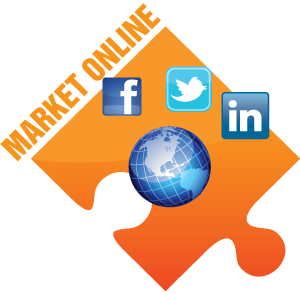 Call (210) 599-8071 now to talk with a social media marketing specialist.